The installation of scaffolding on the Wroxham Viaduct for our customer Network Rail. The purpose of the installation was to allow for routine maintenance work to be carried out by Network Rail. Not only were our operatives working at height, they were also working over water. This evidently meant additional challenges. As part of our rigorous health and safety assessment procedures we ensured that there was a safety boat present at all times when work was being carried out. 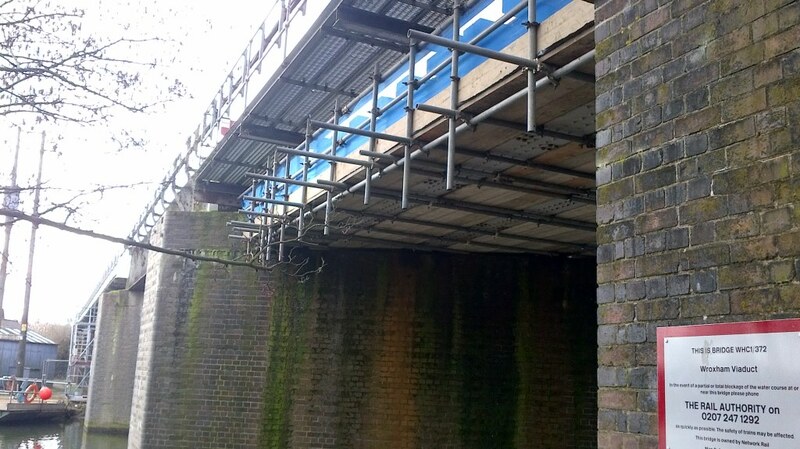 This entry was posted in Case Studies and tagged at height, rail, viaduct on March 20, 2013 by admin.